The word from multiple sources, including Tom Harkin, is that Congress plans to go ahead with having the House pass the Senate health care reform bill and then use budget reconciliation to pass some fixes. Barack Obama made it clear in a speech today that he plans on pushing for a full health care reform package (full text under the fold). Obama’s speech represents a major departure from the politics of his presidential campaign and of his first year in office. In his campaign, Obama pledged to defy partisan gridlock and to “change the way Washington works.” During the campaign, some liberal commentators believed that he was merely employing a clever tactic to highlight the rigid partisanship of his opponents. “If we understand Obama’s approach as a means, and not the limit of what he understands about American politics, it has great promise as a theory of change,” Mark Schmitt wrote in The American Prospect. But it is now evident that Obama’s approach was what he understood about American politics—it was the guiding light gleaned from his years as an Illinois state senator—and he planned to apply it to Congress. And it was, of course, nonsense. Republicans were able to use Obama’s naiveté about their motives to undermine his initiatives. As Noam Scheiber explains in his profile of Rahm Emanuel, the principal obstacle to getting health care reform through Congress last year was Obama’s dogged insistence last summer that Senate Finance Chairman Max Baucus continue to plug away at nailing down a bipartisan agreement. What Obama got was not an amicable agreement but a summer of discontent, highlighted by Senator Charles Grassley’s denunciation of Democratic “death panels” and by the emergence of the Tea Party movement. But it’s not an easy job being president. It took Bill Clinton most of his first term to figure out how to do domestic and foreign policy. Like Clinton, Obama has stumbled, but his slip-ups have been more dramatic because, with the economy cratering and two wars raging, the stakes have been higher from the first. However, in Obama’s speech today, and in his artful performance at the health care summit last week, he showed that he has learned something from his first year in office. Obama is now using the rhetoric of bipartisanship as Schmitt and other liberals thought he was doing in 2008: He is using it to paint Republicans as intransigent. He clearly no longer believes that a bipartisan agreement on health care is possible. The final push has begun with many believing the plan is to pass a bill in the next two weeks. The Republican Party is doing better at present than most would have expected last year but they still have the same fundamental problem: they are wrong on all the issues. Their arguments continue to be based by making multiple claims which are counter to fact. That’s the hand they have, and they are going all out with it. In neat PowerPoint pages, it lifts the curtain on the often-cynical terms of political marketing, displaying an air of disdain for the party’s donors that is usually confined to the barroom conversations of political operatives. The presentation explains the Republican fundraising in simple terms. “What can you sell when you do not have the White House, the House, or the Senate…?” it asks. Manipulating donors with crude caricatures and playing on their fears is hardly unique to Republicans or to the RNC – Democrats raised millions off George W. Bush in similar terms – but rarely is it practiced in such cartoonish terms. The most unusual section of the presentation is a set of six slides headed “RNC Marketing 101.” The presentation divides fundraising into two traditional categories, direct marketing and major donors, and lays out the details of how to approach each group. A major Republican donor described the state of the RNC’s relationship with major donors as “disastrous,” with veteran givers beginning to abandon the committee, which is becoming increasingly reliant on small donors. One of the truly galling Republican political maneuvers over the last 10 years is to go from squandering a huge budget surplus, racking up trillions in debt, ballooning the deficit, and leaving the next Democratic administration with an economy in shambles — then as soon as the Democrats are in charge refashioning themselves as budget hawks. You might even think they’re setting the Democrats up to fail. I know, hard to believe. Why Republicans aren’t simply laughed off the stage at this point when they try to argue against budget deficits says a lot about Democratic ineptness, media collusion, and short political memories. But I still find it amazing. This was actually the lead in to linking to this story but Kurtz’s intro was a better read. Steve Benen appears to agree as he expand on this subject. 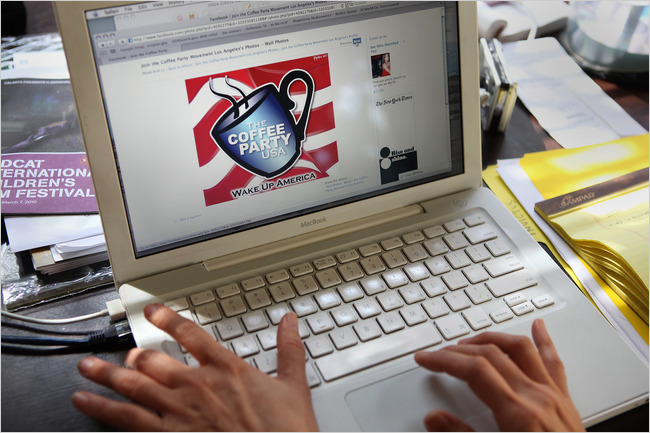 The New York Times and Washington Post are promoting a group called the “Coffee Party” organized by filmmaker Annabel Park. The author figured out that the Coffee Party really is a put down on the Tea Party. Wow Sherlock, next you are going to question whether Rick really went to Casablanca for the waters perhaps even figure out that there was some gambling going on? I’m afraid that, as with many conservatives, this type of satire is just going totally over his head. The post as written is quite nonsensical but perhaps the worst irony here is to try to support the Tea Party by complaining that a critic is something it is not. There are few if any prominent groups which pretend to be something they are not than the Tea Party. It is the Tea Party which protests against an imaginary tax increase from Obama when Obama actually cut their taxes. They protest against the deficit oblivious to the fact that the deficit is primariiy the fault of George Bush and the Republican Party while it is Obama who is trying to restore some fiscal sanity. They are oblivious to how the right wing is ripping them off, both on the issues and financially. Worst of all, the Tea Party pretends to be something it is not when it uses imagery of the American Revolution. The Revolution was a classic battle between liberalism and conservatism, and in any analogy to the American Revolution the Republicans are the Tories. Jay Leno is trying hard this week to get his show back on track with big name guests. Tonight he had Sarah Palin on. While Palin still has not dared to appear on any of the Sunday morning interview shows, she’s always up for some fluff. Governor Palin announced over the weekend that her 17-year-old unmarried daughter is five months pregnant. 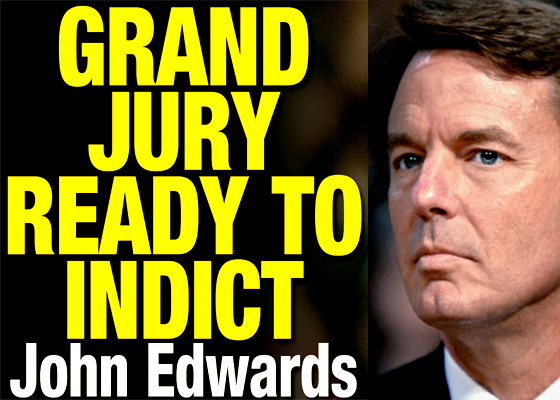 Oh, boy, you thought John Edwards was in trouble before, now he’s really done it! That joke, incidentally, was told by Jay Leno, who told far more jokes about Palin’s children than David Letterman despite all the noise made by the right wing. Palin naturally had writing on her hand and she even made a lame attempt at stand up comedy. If this was anyone else such an act might be taken as evidence that she does not intend to run for president in the future. Sarah Palin has already made such a gigantic fool out of herself while running for vice president that tonight’s appearance cannot hurt her any more. Letterman meanwhile countered Palin’s appearance on The Tonight Show by having Mitt Romney on Late Night. Romney warned Dave to be careful of what he says about Sarah Palin because, “She has a rifle, you know.” Personally I think that, instead of inviting Romney on to counter Sarah Palin, Letterman should have invited Tina Fey.